– In the Leadoff, we discuss the latest in Spring Training developments. 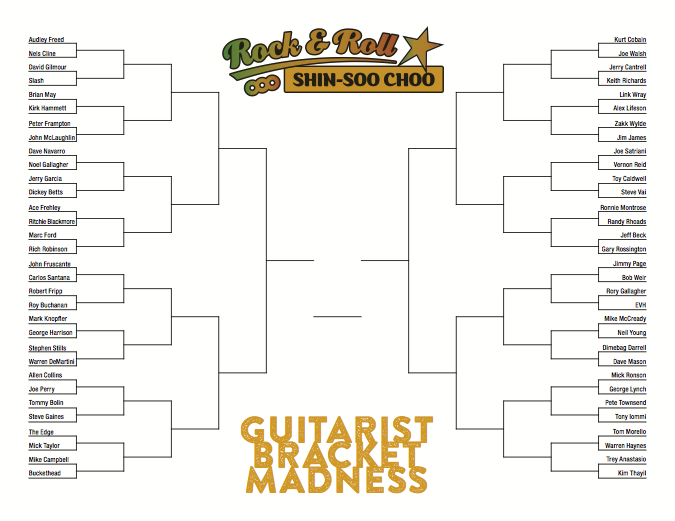 In the Heart of the Order, we continue our Guitarist Bracket and work our way down to the final four, while pitting some of rock’s best guitarists against each other. 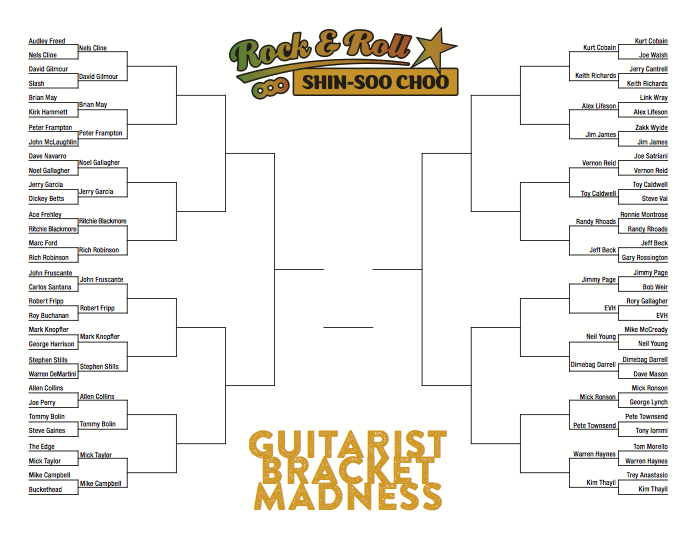 May vs. Frampton, Cobain vs. Richards, Page vs. EVH, and more!